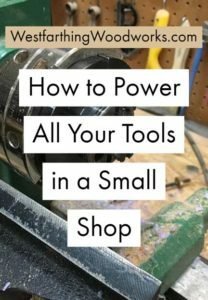 This is how to running power to all of your tools can make you feel less stress in a small shop. It’s a simple activity, but running power to everything can make a big difference in how it feels to work in your shop. Here is what you do. Powering an entire shop can be difficult. Depending on the space that you have your shop, it can be a challenge to have enough power outlets. Garages and basements tend to have few outlets. Unfortunately, for most hobby woodworkers, the garage and the basement are usually where you set up shop. Either way, if you get a little creative, and work on your situation, you can run power to everything and make your shop feel more inviting, and less stressful. 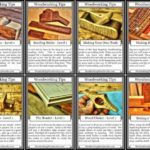 I mention running power in my 29 Ways to Maximize Your Small Shop Layout, as well as several more ways to make a small shop feel bigger. The firs thing you need to do is check the area you are using for your shop, and see what you already have in place to begin with. See how many outlets you have. Do you have any switched outlets? Ceiling lights? Outlets hidden behind things? Once you know what you have, you are in the best position to get what you need to improve the space. Most garages have at least a couple outlets. They also tend to have outlets in the ceiling near the garage door opener. Sometimes, they also have a switched light on the ceiling. That socket can be switched out for a double outlet and now you have switched power in the ceiling. As you look around, take inventory of that you have, then proceed to the next step. 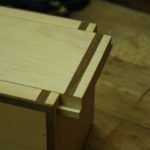 If you are a solo woodworker, you are going to be using one to two tools at the same time. This will typically be the actual tool, and then dust collection. In most cases, these can be powered by different outlets, and not run the risk of tripping a breaker. The rest of your tools can share an outlet if you arrange it right, and avoid creating any fire hazards. Since you will only be using one tool at a time, you only really have to worry about not having any tools on the system that are too power hungry for the breaker. Even several tools that would overload the breaker when used together will never have the chance, because they are never used at the same time. 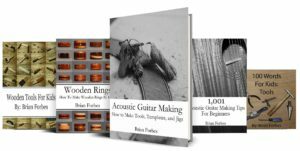 If you are a solo woodworker, make those choices based on the tools. 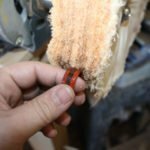 Since it is impossible for you to use the drill press and the table saw at the same time, they can share a plug and never interfere with each other. Make these decisions, and pair things that will never be turned on at the same time. See Also: Eye Safety in the Workshop a way to keep yourself woodworking for longer. The next step after you survey what you have and think about your pairings is to go to the store and start buying equipment. For most small shops a couple good quality power strips and some good extension cords are all you will need. If you plan on making permanent installations I recommend getting with an electrician or looking online to see how to run permanent wiring rather than extension cords. However, for the hobby woodworker, extension cords are a very common way of getting power where you need it. Pick up your extension cords, power strips, and get a package of zip ties too. This way, as you run the power to the individual tools, you can hide the wires. If you are going to be in your shop for any length of time, just hide the wires with zip ties. It will add a little time to the project, but it will make the place look better. 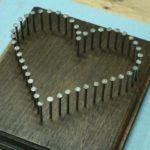 See Also: 13 Woodworking Ideas to Help any Beginner for more ideas for new woodworkers. Even though the power does not actually alter the size of your shop, you will feel like you are in a bigger area when everything is powered. So many shop owners plug and unplug things all the time, and this’s just leads to stress. The stress makes the place feel confining, and you end up feeling like you are closed in. When everything is powered, you have the feeling that you are in a well run shop, with a more permanent atmosphere. The area feels good while you work, and you are not wasting energy with the cords and plugs all the time. If you are making a project, you already have to deal with the stress of getting it right, using tools, and making calculations. Don’t add stress from having to move your power every time you need to make a cut. That is no fun, and a waste of your valuable energy. 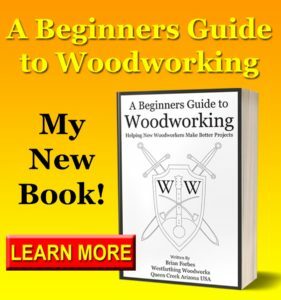 See Also: A Beginners Guide to Woodworking to help you make better projects, faster. Your homework is to access the power situation in your shop, and if you need to, finally make the changes you should have made in the beginning. If you have tools that you are moving power to and from, just buy what you need to power both of them. Most people can accomplish this task with a couple power strips and some extension cords, and the price is fairly low. If you absolutely have to, at least call an electrician to see what it would take to get a couple more outlets in your area. It may be less than you think, and you can always pass if the price is too high for right now. Once you are fully powered, you will truly enjoy going out into your shop. It will also save you a lot of time, because you are not moving cords around. Your shop will feel bigger too, because you are less stressed, and enjoy the area. Make it a priority to run power to every tool that you normally use in your shop. While you do not need to run power to every tool you have, especially those that rarely come out, you do need to power the main tools in your shop so they have constant power. This is a simple matter of running cords, and plugging everything in. Think about wire maintenance when you are doing the work as well, because it is really easy to zip tie the wires while you are down there than to go back and do it again. Finally, enjoy your shop, and enjoy the increased speed at which you can produce parts and pieces now that you are not running power as you go. 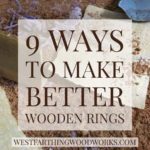 Your shop will feel more inviting, and you will actually get more and better work to come from it.